Local transport campaigners are protesting to Southeastern Railway about its failure to honour a commitment to reinstate train services to the frequency the line enjoyed before the Thameslink work at London Bridge began. The Greenwich Line Users' Group has been examining the proposed timetable changes due to come into force in January next year when trains on this line will finally begin calling at London Bridge station again. According to chair Mike Sparham, despite Southeastern Railway committing to restore services to pre-2015 levels, the service is actually set to be reduced. When Greenwich line trains resume stopping at London Bridge next January, it will inevitably result in a rise in passenger numbers on these trains, the group believes. But Southeastern has no plans to increase services to address this, and GLUG points out that the Greenwich line absurdly has more frequent off-peak services than it does in peak hours. "In the height of the evening peak hour, there is one gap in service of 22 minutes (17.28 – 17.50) followed by a further gap in service of 24 minutes (17.50 – 18.14). In the off-peak hours there would be five trains in such a 46-minute period, compared with only three in the peak hour. To add insult to injury, the 17.28 has only six carriages" the letter says. In 2014, GLUG points out, there were 17 trains leaving London Bridge for Greenwich in the two-hour evening peak from 16.30 to 18.30, with a total of 126 carriages. In the 2015 timetable, this was reduced to 13 trains and by August 2016 it was reduced even further to just eight trains (from Cannon Street) with only 62 carriages - less than half the number three years ago. GLUG acknowledges that this decline was accepted as a temporary measure, but stresses that the reasons for the reduction will no longer apply after January. "In our response on the August 2016 timetable, we sought an assurance that the full peak hour service would be restored...but [proposals suggest] the evening peak service....will still be well below the previous service. There is no increase at all in the morning peak up to London." The letter repeats a point which is frequently made across this part of southeast London, that the service plans also fail to consider the huge level of development which is under way in the region. Passenger numbers are rising steadily and will continue to do so as the developments planned for Deptford, the Greenwich peninsula and Charlton riverside come to fruition. However GLUG is well aware that with Southeastern's franchise due to finish at the end of 2018, little is likely to change in the short term. Speaking of which, the rather bland 'consultation' document about the new franchise is available online if you are interested - consultation open until 23 May. Or maybe you've got some paint to watch dry over the weekend. 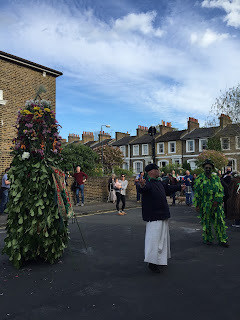 Next Monday being the first of May, the Deptford Jack in the Green will be out with the Fowler's Troop on the streets of Deptford and environs. Traditionally the Jack, musicians and assorted hangers on spend the afternoon visiting half a dozen or so pubs in south east London or sometimes in the City of London, having a drink or two at each one before promenading off to the next one. The list of pubs and estimated time of arrival (which gets more unreliable the further down the list you go) is usually published ahead of time on the Deptford Jack website - but if you've got no other plans it's probably best to just pitch up at the Dog & Bell at about midday and tag along. The tradition always takes place strictly on May 1st; since it falls on a bank holiday this year, it's a great opportunity to enjoy this old Deptford custom, albeit one which was revived a few decades ago. 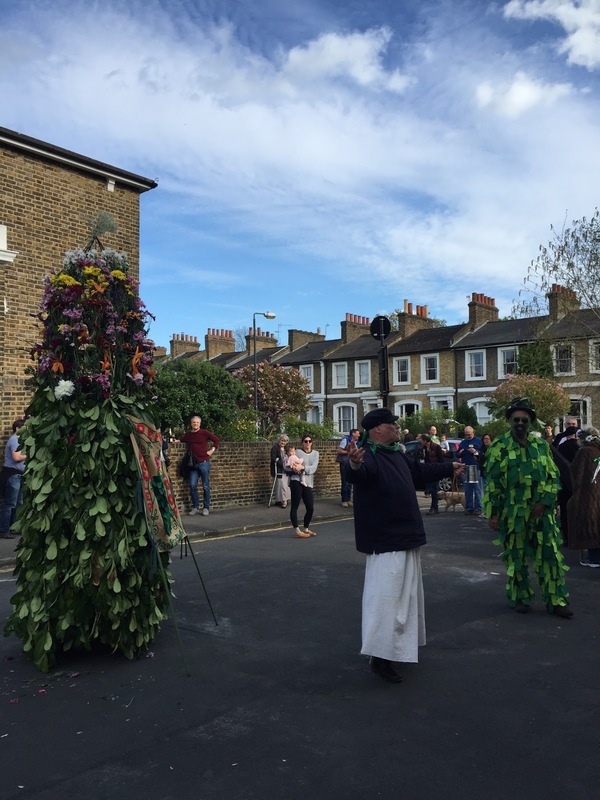 It's quite a quirky spectacle too - ten foot of leaves and petals lurching around the streets of the Ashburnham Triangle can be entertaining, especially when accompanied by its costumed, musical and often quite rowdy troop. 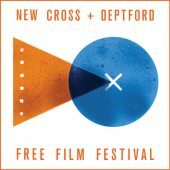 One of my favourite annual local events starts this Friday when the New Cross & Deptford Free Film Festival kicks off at the White Hart in New Cross. Hell you can even watch them in our own local cinema! The programme includes a couple of intriguing director Q&As including one presented by the 'Remakesploitation film club' which is a showing of the documentary Remake Remix Rip-Off which 'tells the bizarre history of Turkish remakes of Hollywood films such as The Exorcist, ET, Rambo, Superman, and Star Trek.' Director Cem Kaya will be coming over from Berlin especially for this event and he will introduce the film and hold a Q&A afterwards. The documentary 'Sewol' tells the story of the Korean ferry that sank in 2014 killing 304 people, most of them schoolchildren. It is still not known why the ferry sank and why no coordinated rescue attempt was mounted. As the relatives of the victims fight for a thorough and independent investigation, they come against an uncaring government and hostile news media. This documentary film tells the story of the Sewol families: their grief, and their efforts to bring improvements in a nation whose democracy is faltering under a corrupt presidency. There will be a Q&A with director Ok-Hee Jeong afterwards. For something a bit more lighthearted you could try the singalong Sister Act 2 at Little Nan's, or The Adventures of Priscilla, Queen of the Desert which is being shown at the Brookmill pub and is followed by a disco, what else? If your bike needs fixing, take it along to Folkestone Gardens on Friday 28th April from 6pm onwards where Lewisham Cyclists will be holding a 'Dr Bike' drop in repair session before the bike-powered showing of Breaking Away starts at 8pm. It's not all film screenings - on Saturday 29th there's an 'iphonography masterclass' for young people and launch of the 'My Lewisham' challenge at Somerville adventure playground. The masterclass is a ticketed event (although tickets are still free) so booking is essential. All films are free, it's first come first served, and the festival is run entirely by volunteers - so please give them your whole-hearted support! 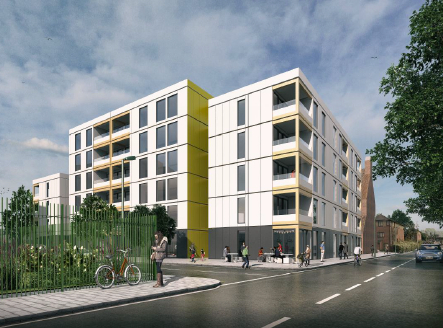 Lewisham Council has put forward a proposal to build 31 temporary homes on a disused playground in Deptford, using a similar scheme of modular construction to that which was trialled in Ladywell. An update on the council's new homes programme, which is being presented at the council's housing select committee next week suggests that the Deptford scheme would build on the lessons learned from Place/Ladywell and could provide a mix of two and three-bed housing units for people in 'acute housing need' - i.e. currently housed by the council in temporary accommodation such as bed and breakfast. There are 1,800 'households' currently in this situation in Lewisham alone. At this stage details are outline - a feasibility study has been completed and the next phase will require additional funding from the council so that officers can commission the full design and planning process. The council is hoping to apply for GLA innovation funding to pay for the construction, which is estimated at around £6.5 million. 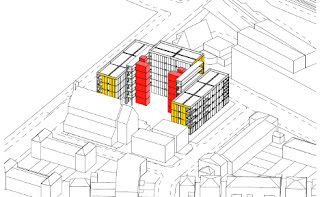 The scheme might also incorporate community and/or commercial space on the ground floor. The proposal involves modular construction of housing using prefabricated units that are made off site and are designed to stack together. They can subsequently be dismantled and moved elsewhere if necessary, but according to the council report, the intention is to apply for planning permission for the site to be permanently used for temporary accommodation. The site is currently occupied by a games court which was used by Deptford Green School when it was in its former location, just across the road. Since the school relocated and got new sports facilities, the court has not been maintained and is in a poor state. The gates are being left unlocked to prevent kids scaling the fence to get in. Whatever its condition, the loss of recreation space is something that needs addressing - the report suggests that improvements could be made to the games courts on Evelyn Green, which is very close by. 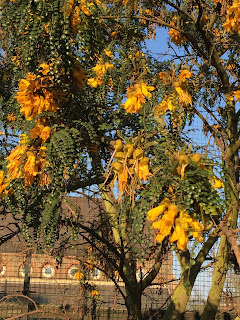 I went along to have a look at the site and was surprised to find three mature and exotic trees along the strip of land next to the court along Arklow Road. 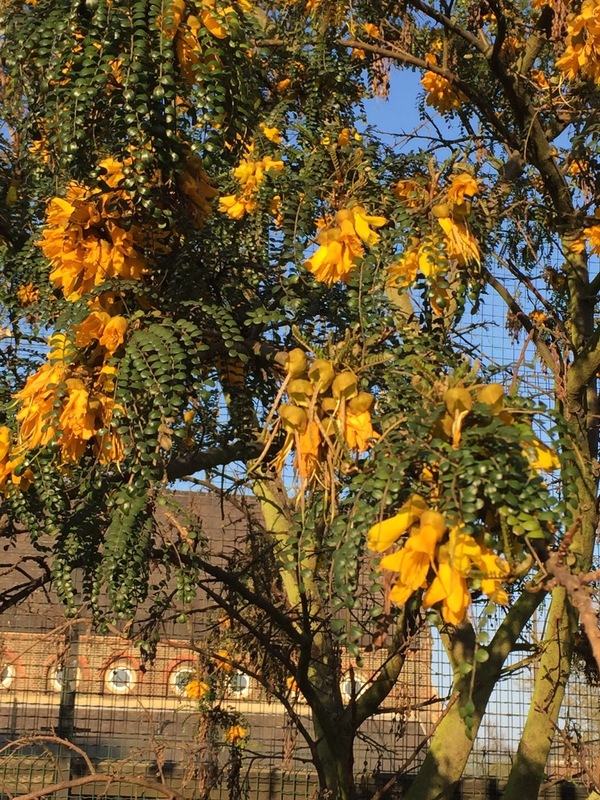 My eye was caught by the beautiful and dramatic flowers on this tree, which I found out via Twitter is a Sophora, probably a type of Kowhai - the Maori name for this species of native New Zealand tree. Alongside is a huge eucalyptus with incredibly pungent leaves and another rather less distinctive tree that also looks as if it might be an exotic species. I have no idea how these trees came to be planted on this piece of land - if anyone has any information, please leave a comment as I would love to know! I note that some trees are shown on the rendering above, but as I know all too well this could just be 'indicative', so I'll be looking keenly at the details of the planning application to check that they are going to be retained.